Save by pairing your airfares and lodgings. Expedia has loads of excellent Zandvoort vacation packages that'll simplify things and give you more money to spend! Gain savings of as much as C$590* when you book a package deal on Expedia. With more than 400 partner airlines and 321,000 properties worldwide for you to pick from on our international database, you'll be setting off on your next vacation in no time! Getting excited about your trip to Zandvoort? Want some suggestions about what to do when you're there? That's what we're here for! A day on the seashore is an ideal way of keeping the youngsters entertained. Take a few buckets to Zandvoort Beach and see who can collect the most shells. There's a wonderful range of things to do in this destination. Whether you love to zoom across it, jump into it or explore what's below it, few things are as cheerful as a day spent around water. Add some wonderful aquatic adventures to your travels at Surfschool Zandvoort. Still got time to spare? Time spent with nature has been shown to lift both your emotional and physical state of being. Visit Nationaal Park Zuid Kennemerland and reap the rewards of reconnecting with our natural environment. Finished arranging your Zandvoort itinerary? It's time to reserve a place to stay. With no less than 16 properties suitable for cheap vacations or luxury getaways, you're sure to locate one that caters to your needs. Discerning travelers who delight in life's little luxuries will feel right at home at the Palace Hotel (Burgemeester van Fenemaplein 2) and the Apollo Hotel Ijmuiden Seaport Beach (Kennemerboulevard 250). Would you rather somewhere cheap and cheerful? Have a look at the Stayokay Hostel Noordwijk (Langevelderlaan 45) and the Hotel Velsen (Kennemerlaan 118). Organized the plane tickets for your trip to Zandvoort yet? When you get there, prepare to stroll out into Schiphol Airport (AMS). It's 11 miles (18 km) from the terminal to the downtown area. 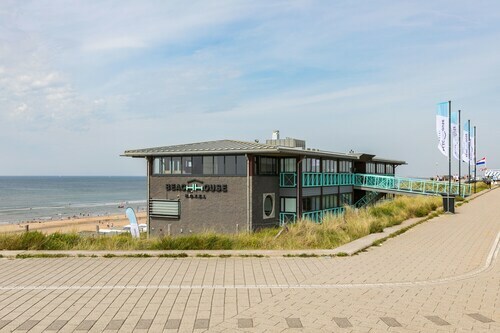 Nestled on the beach, this Zandvoort hotel is within a 5-minute walk of Circuit Park Zandvoort and Zandvoort Beach. Nationaal Park Zuid-Kennemerland and Cathedral of Saint Bavo are also within 9 mi (15 km). Zandvoort aan Zee Station is 12 minutes by foot. 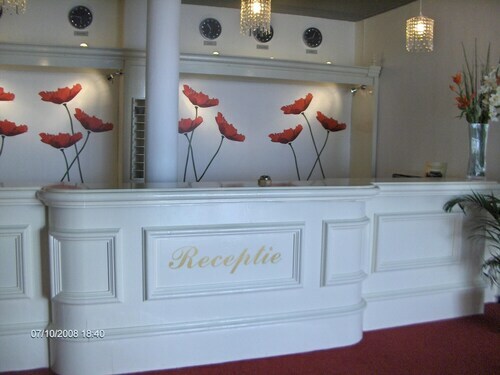 Situated in Zandvoort, this hotel is within a 15-minute walk of Zandvoort Beach and Circuit Park Zandvoort. Cathedral of Saint Bavo and Frans Hals Museum are also within 9 mi (15 km). Zandvoort aan Zee Station is only a 2-minute walk. 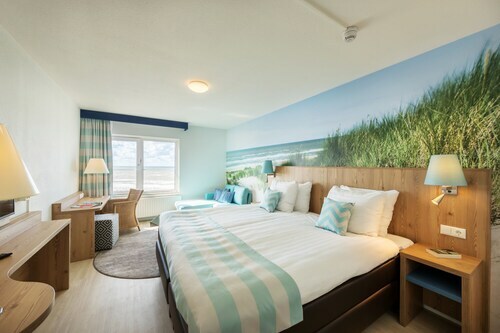 Located in Zandvoort, this beachfront hotel is next to a golf course and within a 10-minute walk of Zandvoort Beach and Circuit Park Zandvoort. Nationaal Park Zuid-Kennemerland and Cathedral of Saint Bavo are also within 9 mi (15 km). Zandvoort aan Zee Station is 20 minutes by foot. 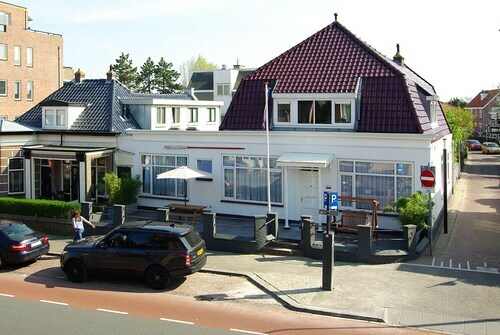 Offering direct access to the beach, this Zandvoort hotel is in the city center, 0.1 mi (0.1 km) from Zandvoort Beach, and 1 mi (1.5 km) from Circuit Park Zandvoort. Nationaal Park Zuid-Kennemerland and Cathedral of Saint Bavo are also within 9 mi (15 km). Zandvoort aan Zee Station is 7 minutes by foot. This family-friendly Zandvoort hotel is located on the waterfront, within a 10-minute walk of Zandvoort Beach and Circuit Park Zandvoort. Linnaeushof and Grote Markt are also within 9 mi (15 km). Zandvoort aan Zee Station is 8 minutes by foot. 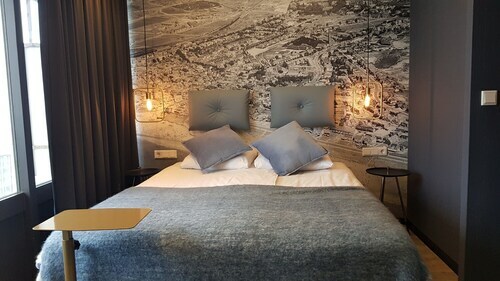 Located in Zandvoort, this beachfront hotel is in the city center and within a 15-minute walk of Zandvoort Beach and Circuit Park Zandvoort. Nationaal Park Zuid-Kennemerland and Amsterdamse Poort are also within 9 mi (15 km). Zandvoort aan Zee Station is only a 3-minute walk. 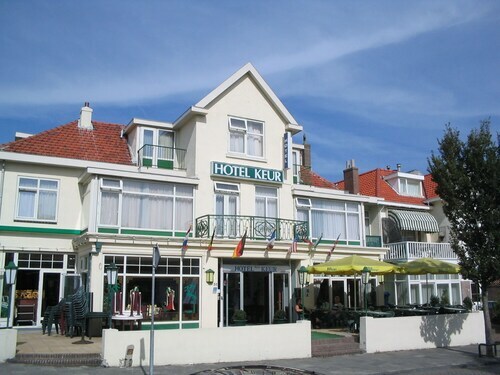 Situated in Zandvoort, this hotel is 0.3 mi (0.5 km) from Zandvoort Beach and 1.1 mi (1.7 km) from Circuit Park Zandvoort. Cathedral of Saint Bavo and Linnaeushof are also within 9 mi (15 km). Zandvoort aan Zee Station is 9 minutes by foot. 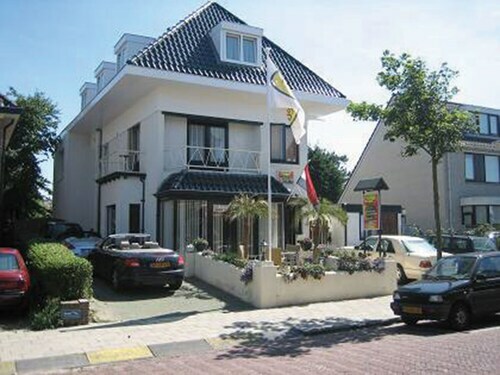 Situated by the sea, this pension is 0.4 mi (0.7 km) from Zandvoort Beach and 1.1 mi (1.8 km) from Circuit Park Zandvoort. Cathedral of Saint Bavo and Corrie Ten Boomhuis are also within 6 mi (10 km). Zandvoort aan Zee Station is 11 minutes by foot.